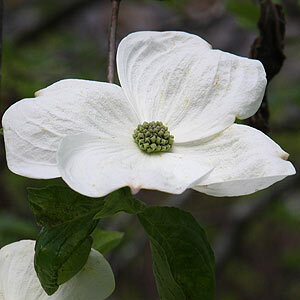 A wonderful group of flowering shrubs or small trees Cornus or 'Dogwood' species and cultivars include new releases such as Cornus sanguinea 'Winter Beauty' and old favorites such as Cornus x 'Norman Haddon' as well as species such as Cornus kousa or Japanese Dogwood. And of course Cornus mas or the cornelian cherry, the fruit of which are widely used in jams and preserves. Essentially used as an ornamental tree or shrub Cornus species are loved not only for the flowers which appear in masses in spring but also for the form and shape that they can bring to the garden. The exceptions to this has to include Cornus sanguinea 'Midwinter Fire', brilliantly coloured stems in winter add colour at a time when little else seems to give us. We did read an article that suggests that cornus are essentially a winter feature, however we do feel, that this is really missing the point of this wonderful group of flowering trees and shrubs. And of course the hybrids such as the C. florida x C. nuttallii hybris known as 'Eddie's White Wonder' (see picture above) with its wonderful creamy white flowers make a very strong case for cornus as a feature tree for spring. Flowers range from pure white through to yellows and pinks. The two main species represented are Cornus florida and Cornus kousa, however the unusual Cornus controversa 'variegata' or 'Wedding Cake Tree' with its wonderful layered foliage also makes a great specimen. C.florida are from North America while C. kousa are from China and Japan. Cornus mas is from Europe and has been grown in the UK longer than any of the others. With most species little to no pruning is required, cornus do seem to have a naturally tidy growth habit, especially Cornus kousa. The exception to this is the 'Red Twig Dogwood', Cornus alba 'Sibirica' which is often pruned back hard to promote new growth, which is a brilliant red.